In the 14 years that Boise Cascade Kinzua Lumber has worked with Energy Trust, the Pilot Rock sawmill slashed 4.7 million kilowatt hours from its annual electricity use. “We’ve cut energy costs by about $10,000 a month, which keeps us viable in a region where many sawmills have closed,” said Dave Minkler, maintenance supervisor. 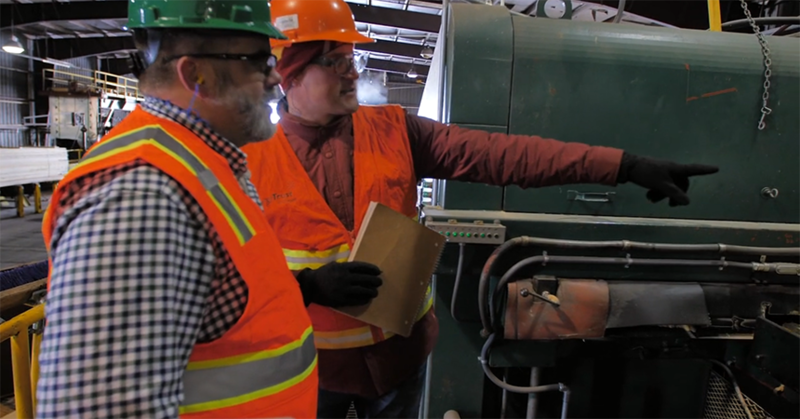 What’s most impressive about Boise Cascade’s efforts is that 47 percent of the savings resulted from simple behavioral changes and no- or low-cost operations and maintenance improvements. Participating in Energy Trust’s Strategic Energy Management initiative, the sawmill received technical support and cash incentives that helped employees uncover hidden savings and develop strategies to ensure continued savings.